A community garden is any piece of land gardened by a group of people, utilizing either individual or shared plots on private or public land. This is such a simple definition of something that is doing so much for so many. Since the resurgence or ‘movement’ of establishing more community gardens in neighborhoods about 10 years ago, many have taken notice of the numerous benefits they provide. These benefits include social, cross cultural and inter-generational opportunities for participants. Gardening activities provide health and wellness benefits for the body, mind, and soul through exercise, connecting with nature, stress relief and of course the end result of a bountiful harvest of local, fresh, and nutritious fruits and vegetables. Community gardens have shown to reduce crime by increasing green space and positive activities in neighborhoods. Neighbors are once again practicing that ‘front porch’ mentality, meeting and greeting each other and sharing stories over the garden fence. I could expand on all these benefits and opportunities, but will only have the room here to highlight one of the less talked about positive outcomes from the gardens. 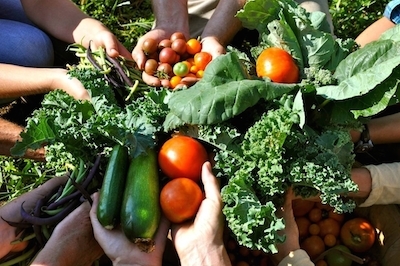 Community gardens donate thousands of pounds of fresh produce to food pantries and involve people in processes that provide food security and alleviate hunger. Growing to Green promotes Plant a Row for the Hungry to every garden we work with as an opportunity to share their extra harvest with the needy. Gardens donate to nearby pantries, soup kitchens and directly to the underserved in their own neighborhoods. With well over 200 edible gardens in and around Columbus, these gardens are donating over 60,000 pounds of produce annually. We have been working hard to establish gardens and education programs directly at pantry sites to enable client’s access to fresh food and opportunities to learn how to grow their own. I would like to share just a few examples of Giving Gardens that we work with. 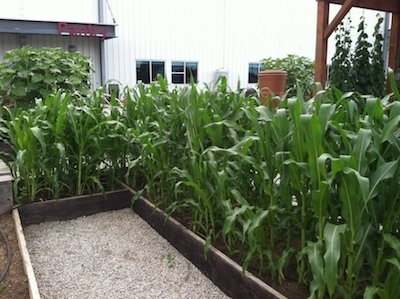 With a focus on maximizing crop production, the team at this community garden generates more than 10,000 pounds of produce annually to be donated to various hunger relief programs, including the Hilliard summer free lunch program, the Victory Mission, and the Mid-Ohio Food Bank. The garden has developed an efficient method of sequencing multiple crops for a longer growing season and using companion planting techniques. Through this project, the creators of the St. Vincent de Paul Pantry Garden attained a lofty goal: to strengthen community ties and bonds among neighbors by leading them to gardening. They utilize produce in the on-site pantry while Hispanic residents in the neighborhood are growing and sharing their culture through food. Educational, food preservation and culinary programs are offered. 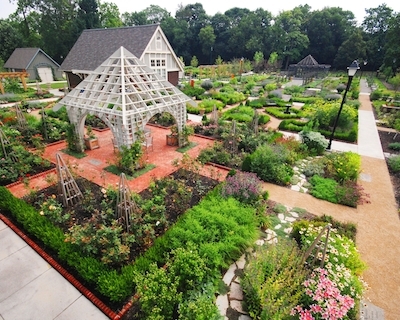 The Scotts Miracle-Gro Community Garden Campus at Franklin Park Conservatory was designed as a living classroom and idea center. This four-acre garden provides creative resources for anyone interested in gardening and edible landscapes. You can experience the culinary, herb and fragrance gardens, apiary, rose pavilion, berry house, and 40 community garden plots. This garden donates approximately 3,000 pound of produce annually. Mid-Ohio Food Bank Community Garden operates an onsite community garden that offers learning experiences for both community volunteers and families in need. Hands-on opportunities allow people to learn about how to grow food, eat healthier, and manage their food budgets. With around 1,400 square feet of growing space, the garden has contributed over 3,700 pounds of produce annually for the emergency food system. The garden also features a rain catchment system, greenhouse, and composting barrels. It sits right outside of Mid-Ohio Food Bank’s Community Pantry. I encourage you to get involved with a community garden near you and to promote and involve yourself in the Plant a Row for the Hungry program. Even if you are not a gardener, you might just volunteer to drive the extra harvest to the food pantry. Take your children with you to teach them a valuable lessen about hunger and food security. 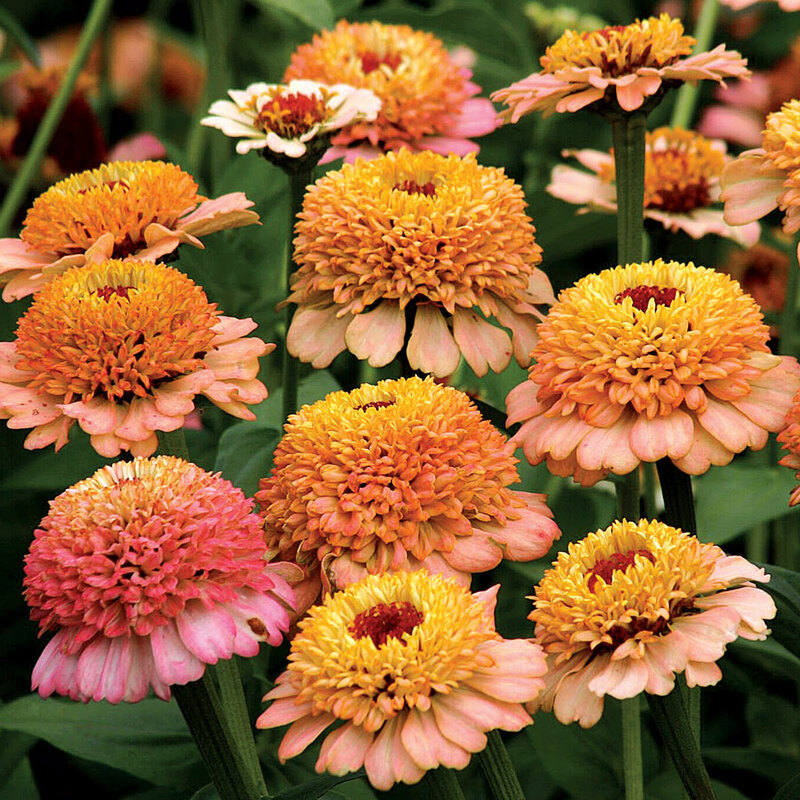 About the author: Bill Dawson has been with the Franklin Park Conservatory and Botanical Gardens in Columbus, Ohio for twenty-one years. He has been involved in the Community Gardens project at the conservatory for the past thirteen years and is the go-to man with the information for beginning and established community gardens in the Columbus area. About Growing to Green Growing to Green is Columbus' (Ohio) largest organized effort to promote and provide free community resources for community gardening and city beautification. Initiated in March 2000 by the Franklin Park Conservatory and Botanical Gardens, We have assisted in the start-up or renovation of more than 250 community gardens throughout the central Ohio area. Growing to Green assists individuals and groups interested in starting a community garden, neighborhood beautification project, or a school-learning garden.